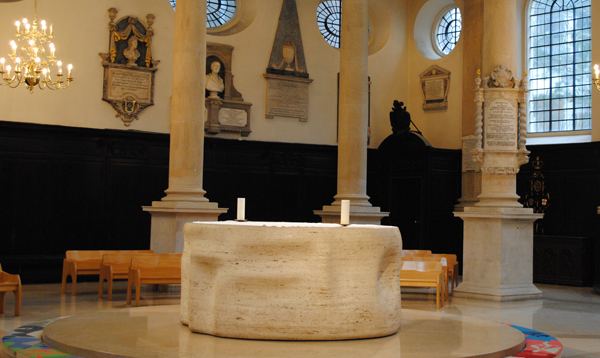 A beautiful church in the round, St Stephen Walbrook has a rich history with one of its stand-out features is an altar designed by world renowned sculptor Henry Moore. The centrally located circular altar, carved between 1972 and 1983 of polished travertine marble (the marble was taken from the same quarry as that used in Michelangelo’s work), is eight foot across and weighs several tons. 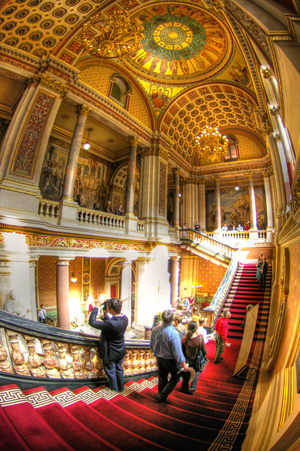 It was commissioned by property developer and churchwarden, Lord Palumbo, as part of a £1.3 million restoration of the church – built under the supervision of Sir Christopher Wren in the 1670s, replacing an earlier church which burnt down in the Great Fire – which took place between 1978 and 1987. It was deliberately designed to be placed at the centre of the church and didn’t take up its new position without controversy with objectors to it taking the matter to the Court of Ecclesiastical Cases Reserved (they ruled the altar was acceptable for use in a Church of England church). WHERE: St Stephen Walbrook, 39 Walbrook (nearest tube stations are Bank and Cannon Street); WHEN: 10am to 4pm weekdays (check website for changes); COST: Free; WEBSITE: www.ststephenwalbrook.net. • The Tower of London is going Victorian this Christmas with visitors able to experience some of what the Yuletide celebrations in the foreboding, much storied buildings were like in the mid-to-late 1800s. Visitors will be shown how many of the Christmas customs we now participate in each year – like writing cards, pulling crackers and the setting up of family Christmas trees – owe their origins to the Victorian era. The Yeoman Warders will be receiving a Victorian makeover and writer of the age – Charles Dickens – will be reciting some of his works before joining in a “raucous” lunch party with some of his fellow writers, artists and benefactors. It’s even rumoured that Queen Victoria and Prince Albert themselves may make an appearance (take that as a given). Bah! Humbug! A Very Merry Victorian Christmas runs from 27th until 31st December. The festivities will all be included in the usual admission price. For more, see www.hrp.org.uk. PICTURE: Nick Wilkinson/NewsTeam. • Kew Gardens are celebrating Christmas with a host of events including a “Twelve trees of Christmas” family trail. The trail, a map of which can be picked up as you enter, includes facts about trees along the route. Volunteer guides are also leading free tours of seasonal highlights and the Kew Christmas tree can be seen at Victoria Gate. Other festive treats at Kew include the chance to see Father Christmas in his grotto (until Sunday only) and a vintage carousel on the Kew Palace Lawn. Many of the Christmas-related events end on 6th January. See www.kew.org for more. 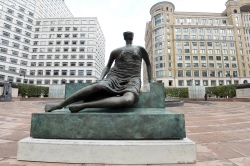 • A display focusing on the history of Henry Moore’s sculpture, Draped Seated Woman (better known as Old Flo), has opened at the Museum of London Docklands. 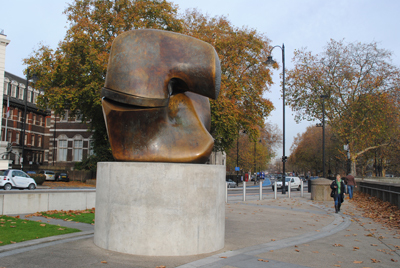 Henry Moore and the East End provides a glimpse into 1950s East London and looks at why public art was considered important at the time. It features some of the maquettes (scale models) Moore used in creating the piece. 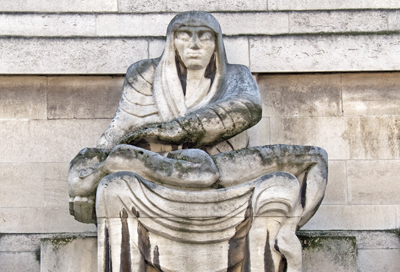 The exhibition was opened following a decision by the Mayor of Tower Hamlets, Lutfur Rahman, to sell Old Flo (now at the Yorkshire Sculpture Park) rather than display the artwork in a public space. The move is being contested by the Museum of London Docklands who have offered to put the work on public display. An online exhibition can be seen at www.museumoflondon.org.uk/oldflo and a ‘pop-up exhibition’ on Old Flo will be launched in January. The museum is also encouraging people to tweet their views about the selling of the sculpture under the hashtag #saveoldflo. • On Now: Take Another Look. Still at the Museum of London Docklands, this exhibition focuses on the visual representation of people from the African Diaspora who were living and working in Britain in the late 18th and early 19th century. The display of 17 exhibits in the London, Sugar and Slavery gallery features prints by artists including Thomas Rowlandson and George Cruikshank as well as newspaper cuttings, mostly dating from 1780-1833, which show black Britons in perhaps what were unexpected roles – soldiers, musicians and sportsmen – during what was the period in which the abolition of slavery occurred. There are a series of events planned around the exhibition which runs until 4th August. Entry is free. For more see www.museumoflondon.org.uk/Docklands/. • On Now: Mariko Mori: Rebirth. The first major museum exhibition of the New York-based Japanese artist Mariko Mori in London since 1998 has opened at the Royal Academy of Arts in Piccadilly. The exhibition features some of the artist’s most acclaimed works from the last 11 years, many of which have never before been seen in the UK, as well as works created just for the exhibition. Highlights include Tom Na H-iu, a five metre high glass monolith lit by hundreds of LED lights and connected back to the Institute for Cosmic Ray Research at the University of Tokyo; Transcircle, described as a “modern day Stonehenge”; and, Flatstone, an installation of “22 ceramic stones assembled to recreate an ancient shrine”. Runs until 17th February. Admission charge applies. For more, see www.royalacademy.org.uk. • A new exhibition in which visitors can experience life during the Second World War through the eyes of a London family opens today at the Imperial War Museum in London. A Family in Wartime explores the lives of William and Alice Allpress and their 10 children at their South London home during the war as the face events such as the Blitz and the evacuation of the city. The display includes firsthand audio accounts from members of the family, photographs and a detailed model of the family home at 69 Priory Grove. Two of the family’s sons served in the military during the war while three of the daughters joined the Women’s Voluntary Service. Artefacts on display include many everyday household items such as cookery books which gave advice on cooking with limited rations and stirrup pumps which people were encouraged to wear in case of incendiary bombs as well as newspaper clippings, propaganda posters and film footage. There will also be artworks depicting wartime living by artists including Henry Moore, Wilfred Haines and Leila Faithful. Admission is free. For more, see www.iwm.org.uk/visits/iwm-london. • Hogwarts has come to London’s north with the opening of the new Warner Bros Studio Tour in Leavesden. The tour, which was launched this week, features sets, costumes and pros from the Harry Potter series of films and reveals how special effects and animatronics were used in the movies. Highlights include the chance to visit Hogwarts Great Hall, Dumbledore’s office and Diagon Alley as well as see Harry’s Nimbus 2000, the flying Ford Anglia owned by the Weasleys and Hagrid’s motorcycle. For more information, see www.wbstudiotour.co.uk. • The Kew Bridge Steam Museum in London’s west has been awarded a £1.84 million Heritage Lottery Fund grant for a restoration project that will see new visitor facilities and more modern displays as well as new outdoor water-based actvities. 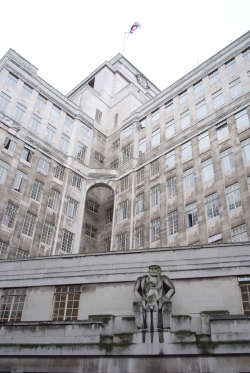 Project Aquarius will also see outstanding repairs to the Grade I and Grade II listed buildings – described as the most important historic site of the water supply industry in the UK – completed. 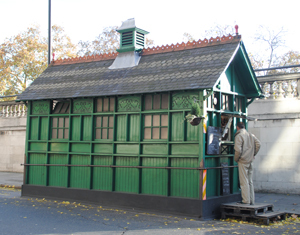 The museum, which opened 37 years ago, features four giant working Cornish steam pumping engines as part of its displays telling the story of London’s water supply and attracts some 15,000 visitors a year. For more, see www.kbsm.org. • On Now: British Design 1948-2012: Innovation in the Modern Age. 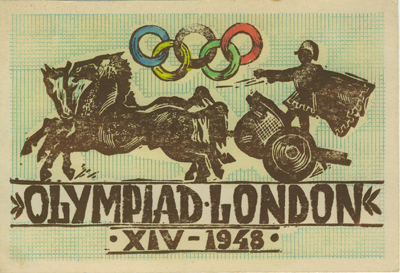 The V&A’s major spring exhibition, this is a showcase of British design from the 1948 ‘Austerity Olympics’ to present day and features more than 300 objects – from the 1959 Morris Mini Minor to a model of the recently completed Zaha Hadid-designed London Aquatics Centre. Highlighting significant moments in British design, the exhibition looks not only at 60 years worth of fashion, furniture, fine art, graphic design, photography, ceramics, architecture and industrial design but also investigates how the UK continues to nuture artistic talent and the role British design and manufacturing plays around the world. Admission charge applies. Runs until 12th August. For more see www.vam.ac.uk. 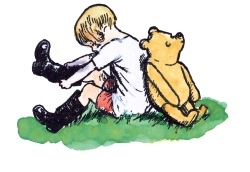 We’re taking a break over Easter – posts will resume next Tuesday. In the meantime have a great Easter! • The second annual Camellia Festival kicks off in gardens surrounding the neo-Palladian property, Chiswick House, in west London this weekend. The month long festival, run by the Chiswick House & Gardens Trust, was kicked off in 2011 with the aim of showcasing Chiswick’s world renowned Camellia Collection, believed to be the largest in the Western world. Following the success of last year’s festival following a £12.1 million garden restoration project, the flowers will once again be on display in the Conservatory (designed by Samuel Ware in 1813). Complementing the display of camellias will be a showcase of early spring flowers planted in the newly restored Italian Garden (originally created for the 6th Duke of Devonshire in 1814, it was, at the time, at the forefront of horticultural fashion). 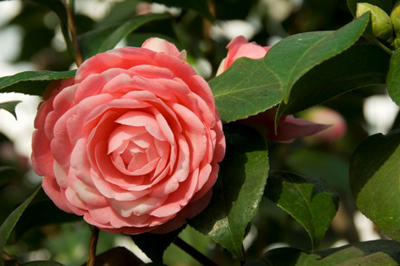 The Camellia Collection, meanwhile, includes rare and historically significant plants featuring pink, red, white and striped blooms, many of which are descended from the original planting in 1828. Among them is the Middlemist’s Red which was originally brought to Britain from China in 1804 by John Middlemist, a nurseryman from Shepherds Bush. It is one of only two in the world known to exist (the other is in Waitangi in New Zealand). The festival runs from the 18th February to the 18th March. Admission charge applies. For more information, see www.chgt.org.uk. PICTURE: The Middlemist’s Red Camellia at Chiswick House © Clare Kendall. • On Now: Mondrian || Nicholson in Parallel. This show at the Courtauld Gallery tells the story of the extraordinary relationship between celebrated 20th century painter Piet Mondrian and Ben Nicholson, one of the UK’s greatest modern artists. The exhibition will follow the parallel artistic paths taken by the two artists in the 1930s and their subsequent creative relationship. Each of the works selected for the exhibition have a particular historical significance and the presentation also includes archival material such as photographs and letters. Admission charge applies. 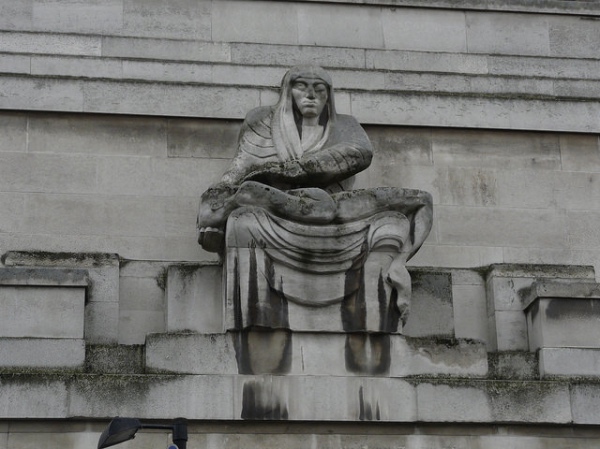 For more information, see www.courtauld.ac.uk.